Remember when we told you that a ‘Mean Girls’ brunch was happening in London? Of course you do – it was only announced on Monday and sold out almost immediately. 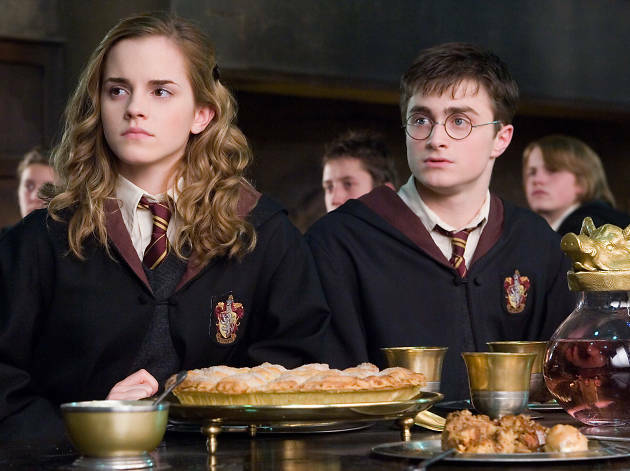 Now the organisers, Joshua Walker PR, have decided to ride this eggy tide by launching a Harry Potter-themed brunch at Anokha restaurant on February 24. So what does it involve? First, a sorting hat will be plonked on the head of each diner as they enter, to determine their ‘house’ for the night. And they’ll be asked to throw on their ‘best robes’ for a meal in the ‘Great Hall’, where the Hogwarts fans can test their knowledge with a Harry Potter quiz while one of the eight blockbuster films plays in the background. As with the ‘Mean Girls’ event, the ticket price (£35) will include a brunch main and dessert, but this time, there’s an hour of bottomless Butterbeer. If you don’t want to down lots of frothy pints in 60 minutes, you can have prosecco instead. It might help long-time fans get over the horrible realisation that the HP series is almost 21 years old. We can’t vouch for the grub, but hopefully you won’t end up with a plate of Bertie Bott’s earwax jelly beans. Sound like your kind of thing? Slytherin to the event website for more info. Remember that Harry Potter exhibition at the British Library? Grab your last chance to see it. Need more Potter? London is the place to be. I purchased this tickets because I´ve heard many people from London talking about it. I am from Spain and my husband is from America, and we both left VERY disappointed. The mood of the restaurant is great (the smell was weird), and we loved the Trivia and all the magic shows. However, we got to eat what was called a brunch but in reality it was a very poor dish of one small piece of beef with a spoon of rice... I hoped they would bring a second dish or something, but we paid £37 for 1h of unlimited Prosecco - which I don´t drink, and we had to leave before they closed because we went to Burger King starving!! @Sara M I had a similarly disappointing experience. There were a lot of communication issues with the food options. Dessert laughably consisted of donuts. Not galaxy donuts, plain old donuts with sprinkles. There was one small chunk of beef with the spoonful of rice. We loved the magician but the whole thing was not worth what we'd paid at all. The most disappointing thing is that I now associate Harry Potter with this disappointing experience. I give the whole experience one star. I emailed the company three pages worth of feedback and I'm waiting for their response.